Tales wishes a great man, a true gentleman, and a man who almost all agree exemplified presidential qualities in his term as 41st president of the United States, President George H.W. 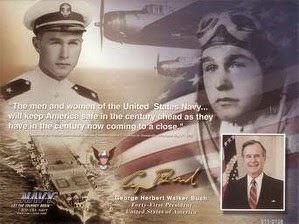 Bush a very Happy 90th Birthday [on Thursday June 12] and many, many more. Revealing what an extraordinary man President George H.W. Bush is, for the eighth time in his life, at age 90 and suffering from Parkinson's disease, this former Navy combat pilot who served during WWII, performed a sky dive. Think that is not remarkable, how many of you have even once had the courage to do a sky dive. Or maybe I should have asked, how many of you have been combat pilots serving in war? Some are saying this would be his last sky dive, as before it he had announced he had one more dive in him, but I am one not counting him out doing another one. I pray this good man lives to 100 and does a 9th sky dive. 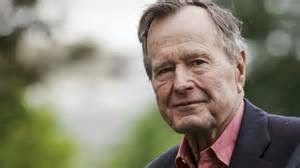 God Bless you and the entire family President George H.W. Bush, and once again Tales wishes you a very Happy Birthday!